Strategic Communication – What’s that all about? Strategic communication in the foreign policy, development and security arena – what’s that all about? It’s about contributing to policy and guidance, providing strategic counsel, nurturing linkages and relationships between policy mechanisms, coordinating between national, international and non-governmental entities. It’s about communicating in a highly charged, ethically challenging, fast moving, traditional and digital, multi-spectral, politically sensitive, conflict-ridden and culturally diverse environment. It’s about employing media relations, advocacy, lobbying, grassroots activism, de-radicalisation, crisis management, new technologies and old. It’s about the utility of forums, blogs, twitter, facebook, TV, radio, print, street chatter, posters, networks, crowdsourcing, mobile technology and academic discourse. It’s about taking part in conversation, dialogue, consultation, education, monitoring, analysis, research, polling, cooperation and collective action. It’s about understanding narrative, strategy, tactics, messages, identity, objectives, framing, behaviour, attitude, opinion and delivery. It’s about appreciating sociology, anthropology, history, culture, group dynamics, behavioural ecomonics, organisational theory and psychology. It’s about engaging with people, publics, stakeholders, governments, activists, opinion leaders, think tanks, NGOs and the military. It’s about developing media industry, legal infrastructure, free press, media literacy, social activism, technology for development, institutional communications and public affairs. It’s about managing media liaison, press releases, events, synchronisation, internal communications, spokespeople and social media. But, simply put, what it’s really all about is bringing all of the above together. Nation Branding in a Globalized World is a 4 day international conference being held by the Institute for Cultural Diplomacy that will explore the concept of nation branding and consider its importance in contemporary international relations. The conference is based on the growing influence of nation brands and the increasing importance placed on such brands by politicians, private sector representatives, and other stakeholders in global politics and economics. The program aims to focus on the challenges and opportunities of strengthening a countrys image abroad, and the impact of such activity on international relations. The program will begin by exploring in detail the history and development of term nation brand, its definition, and the extent to which the term is open to interpretation. The opening part of the conference will also address the extent to which a country is able to shape its own brand, and what factors may enable or hinder this process. Having considered the meaning of the term nation brand, the second part of the program will move to analyse the different actors involved in shaping a countrys image abroad – including governments, private sector companies, individuals, and civil society organisations. The interaction between these actors, and the ways in which they can influence a countrys brand, will be considered in detail. The penultimate component part of the conference will explore the advantages for a country of having a strong nation brand  with particular reference to economics, politics, and the cultural sector. Case studies from across the world will be considered by an interdisciplinary group of speakers. The final part of the program will consider the complex relationship between the process of globalisation and the generation of nation brands. It will explore the challenge of combining strong nation brands in an increasingly interdependent world, and will develop best practice guidelines for countries seeking to engage in nation branding. “Hard vs. Soft Power” is open to students and young professionals, journalists, political and diplomatic representatives, and other individuals with an active interest in international politics and the drivers of foreign policy. The Conference will be split into three complementary parts. The program will begin by looking in detail at the concepts of “hard power”, “soft power”, and “smart power” — where they have come from, how they have developed, and their application in contemporary international relations. Case studies from across the world will be used to provide practical examples of these approaches. The second part of the program will focus on the foreign policy strategies of the United Kingdom at present and in the coming decade. Speakers will consider the evolution of British foreign policy priorities, the strategies that are being used to pursue these objectives, and the role of the media in interpreting and shaping government activity. The third and final part of the conference will consider the future of international relations at the global level. It will explore the changing nature of global politics, the emergence of global public goods and other trans-national challenges, and will provide case studies through which the strategies of hard and soft power can be assessed. “Hard Vs Soft Power” will be based in the Cambridge Union, home of the university’s largest student society and the oldest student debating society in the world. The Union is located in the heart of Cambridge, surrounded by the city’s historic colleges and a short walk to the River Cam. Further information about the conference can be found here. Members of the Cambridge Union are able to attend at a reduced rate. Definitions of strategic communications are replete with the notions of coordination, coherence, management and synchronization. Indeed any idea of communications strategies, plans or campaigns focuses on such elements. However, the real potency of communication efforts is down to the degree of synergy leveraged from the garnering of its components. Through complex military operations, in which synchronization and coordination are paramount, such as joint fires or air tasking orders, military staff, management and organisations are adept, practiced and knowledgeable in such matters. In fact, this inherent ability to coordinate and synchronize is almost a feature of military culture – “synchronize watches”, Joint Coordination Board. If anyone can do the coordination thing, it’s the military. Difficult though it may be, through the internal machinations and politics of organisations, especially multinational ones, this practical synchronization and coordination is not the problem – it’s inbred into the military culture. You’ve got structures and processes galore, tried and tested (although not perfect, which we will come to later). Yet, despite this, the message, big idea, ideology, narrative often fails to be communicated effectively – synergy is not achieved. The result is several diffuse and only roughly aligned messages, even given resources and political backing, entering the information space, producing diluted effects, producing a degree of cognitive dissonance and being pulled apart by audiences, both friend and foe. We fail to reach the next quantum level. The problem is more often than not deciding exactly what is to be synchronized and coordinated, right back at its roots. In the 1980s, it was observed that organisational structure and processes did not account entirely for organisational success and synergy of output. Academic research sought out the missing link and rested upon culture, the deep roots of foundation. It is back at these roots that synergy is born. Without the deep, cultural, almost anthropological, knowledge and understanding of what one is, all that comes after will fail to achieve synergy, and remain merely constituent parts, no matter how well these parts operate. If you know neither the enemy nor yourself, you will succumb in every battle. Indeed one needs to know ‘the enemy’ – all military personnel understand this. Although not wishing to make too much of the war analogy, knowing ‘the other’ is vital in terms of communication. Rightly, much time and effort is taken up in market research, audience analysis, cultural awareness and the like. 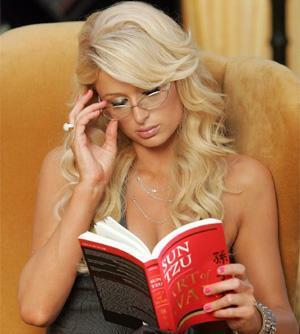 But synergy is achieved by taking the last of Sun Tzu’s points – knowing the enemy and knowing yourself. The implications, especially in communications terms, of not fully understanding what you are, why you exist, what you want and why you want it are massive. Without this understanding, synergy can never be achieved. Any trained public relations officer in the corporate world will be aware of the need to understand his or her organization, to be able to distill its essence, define its ideals, recognize its culture, explain its spirit, feel its soul. Nice and soft and fluffy – and rather intangible stuff. This immediately presents a problem for the military mindset, born of a culture of exactitudes, specifics and precision. The military don’t really do intangibles. But communication and information exist in a world floating in intangibles. A large percentage of an organisation’s value is its reputation or “goodwill” – an intangible asset accounted for by deducting the financial value of tangible assets (buildings, stock, equipment, financial reserves,etc) from the organisation’s total worth. Of course, such is based upon ‘real’ tangible factors – products or action, but these do not guarantee a good reputation. Individual actor – the role played by individuals within the organisation who receive and contribute to culture as they orientate themselves to its operation. Apple - you just know what it's all about. culture. And if you can’t, then ten minutes in an Apple shop speaking to the employees will put you right. And the same thing would happen in New York, Madrid, Paris, Berlin or Brussels. Notably, these employees, the vital ‘touchpoints’ between the organisation and the ‘the other’, the consumer, are all fully signed up and thoroughly enveloped in this culture – they all know what Apple is about, they’ve got the t-shirts. Their products, their structure and processes, born of a deep seated culture allow for a synergy in their communicative efforts. This blog has been written on a PC, by the way – not very cool. Now let’s take NATO. Now, we’re not going to compare Apple to NATO but merely examine an area proved vital, if rarely explored, to synergistic communication – culture. In the cold war, NATO had an easily identifiable identity and culture – a bastion protecting the values of freedom and democracy against the Russian hordes. All trained and prepared to fight, brothers with brothers, to hold back the scourge, and real threat, of communism. That it never came to that allowed that identity and culture to remain untested. But meanwhile, military personnel knew what this organisation was, where they might fit into it, and why. 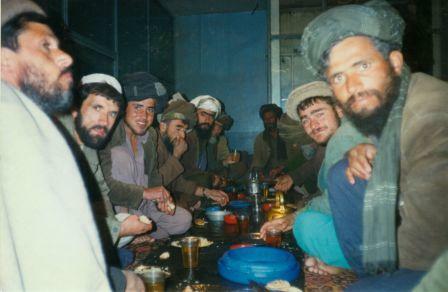 But twenty years after the fall of the wall, in Afghanistan, that culture and identity, often ignored as a crucial feature in the communication effort, has been tested and found wanting. Synergy, despite processes, structure, coordination even apparent political agreement, is failing because that vital element of cultural identity is too thin. Those involved in communication, and by that I mean everyone, from the private soldier to the General, – all those ‘touchpoints’ have too vague a notion of what their overarching organisation is about, what it is meant to do and what it wants to do – they haven’t got the t-shirts. And if they don’t know, as a collective, what they’re about, how can they tell others, both at home and abroad, and further, how can they contribute to the communication element of the mission? The suggestion is that the identity, or the very deep roots of culture binding the very nature, of the Alliance, is either crumbling or unsuited to the task in hand. And without such culture synergy suffers. And this applies to individual militaries, once defined by their capabilities in industrial war-fighting. This identification is foundering as these militaries are involved in ‘war amongst the people’, counter-insurgency operations, especially in long-standing multi-national operations. Soldiers, sailors and airmen and women may be more frequently asking themselves ‘what is this ‘thing’ I am a part of. I understand my immediate culture, but outside of that I’m slightly lost’. Clausewitz’s trinity applies here – military, government and people. 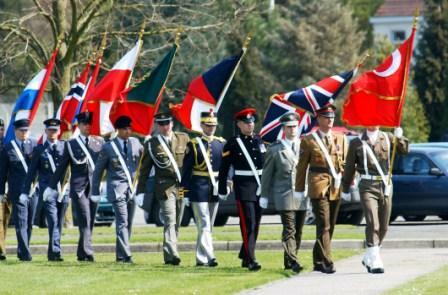 But our point is, whilst it is vitally important that the domestic audiences understand what NATO and their nation’s contributions are about, we must not forget that the development and maintenance of the understanding of those on the battlefield, through the adaptation and nurturing of a culture suitable to war 2.0, is equally important. This more than internal communications, force magazines, divisional orders. It is about fundamental management and difficult but possibly fruitful political choices. Indeed, a degree of culture shift may be happening towards a wider political view of tasks and objectives, and where militaries may feature in this broader framework. As Stephen Grey, respected Times journalist with extensive knowledge of operations in Afghanistan, admitted after his last stint there over the summer of 2009, the British Army was adapting very quickly. Some soldiers he met spoke of a transformation in culture. Grey identified the most important change as a recognition that the political aspect of the wider strategy could not simply be left to other government agencies like the Foreign and Commonwealth Office (FCO) and the Department for International Development (DFID). But this process of adaptation needed to continue and he wondered whether the pace of change was sufficient in the face of an enemy who was also adapting. However, we must inject a sense of reality. Realistically we must appreciate that such moves will be gradual and there will be almost immovable, mostly political, obstacles but we do believe that there are workable measures that can be taken to imbue that sense of raison d’etre across a force, measures that can be enacted by management functions. Style of leadership and management is a reflection of culture. At one end of the spectrum some organisations tend to favour management structures which are mechanistic, hierarchical, centralised and formal, whilst at the opposite end others enjoy organic, networked, creative, flexible and informal approaches, with a multitude of permutations in between. Militaries across the world tend to adopt vaguely similar management style – walk into any barracks on the face of the planet and the hierarchical, centralised and formal atmosphere will be obvious, and for good reason given the tasks required of militaries. However, management and leadership is also adaptive, and has over time evolved to suit contemporary requirements. Such adaptation has allowed many militaries to adopt a style more suited to modern complex warfare – the style of management known as Mission Command. The business of Marks and Spencer sometimes might use a mixture of Management Styles. For example, Marks and Spencer is consultative, but the business might also be using a democratic management style and also to a degree laissez-faire. This is where people are allowed to do what they feel correct, this is usually associated with medium status (e.g. Managing director – Marketing Director) probably because they are experts in their field so they know what they’re doing. Returning to the military, originating in Clausewitz’s 19th century German armed forces, known as auftragstaktik, mission command works ideally in high tempo and complex warfare. Although the ‘thousand-mile screwdriver’ is still commonplace in military operations, and in corporate affairs, high ranking political officials would never dream of attempting to dictate to the soldier on the ground how to achieve his objective – even though, as per Clausewitz, “war is an extension of politics by another means”. It works because of highly specific objectives and a confidence in highly trained and experienced operatives, allowing for a serious degree of delegation. Today’s warfare, ‘War 2.0′, is a far cry from that of the age of industrial force-on-force struggle. In counter-insurgency, operations other than war, ‘war amongst the people’ and the like, communication, both simple and hi-tech (from the tribal gathering to the Second-Life propaganda) has become a major feature of conduct of warfare, conflict, call it what you want. As is increasingly becoming apparent in doctrine, opinion, papers and at conferences, communication – stratcom, influence, public affairs, public diplomacy – is as considerable a factor, or operational capability, as tanks, bullets and bombs. However, whilst the latter are often utilised under the code of Mission Command, the former is not. An example of where mission command may well have assisted in the dissemination of information occurred in the aftermath of the ill-fated and much reported air strike on fuel tankers near Kunduz in early September 2009. The decision-making processes at high level kicked in quickly but then took time to decide what to say, whilst in the meantime, fearing political fallout, Public Affairs officers on the ground were hamstrung by clearance mechanisms. The information vacuum was quickly filled by other sources, many very unreliable and ISAF communication efforts once again were behind the ball – an experience common to many PAOs. The impact of the lack of freedom of action and open practices were huge, resulting in the resignation of the German Defence Minister and sacking of the Inspector General of German Forces, in effect their Chief of the Defence Staff. An important aspect of these events is the shifting power structure within communications, in which official power centres could not control public information and were subject to alternate power sources beyond their influence. This shifting power distribution is a new reality. ... when the collective culture of these chaps needs looking at too. Similarly, the public affairs response to the burning Warrior AFV incident in Basra in 2006, connected with a British operation to release soldiers held captive at a police station, led to a loss of communication initiative. In what was a complex set of events, a degree of respected initiative on the ground may have prevented what became an all-out media sensation surrounding the possibility of withdrawal and utter military failure in Basra. As it happened, time lapsed allowing a misleading narrative and raw imagery to take hold globally, only to be pursued by the “commentariat”. The tight, codified, process-driven and hierarchical systems within with military communication stymies any real effectiveness in War 2.0 – a fast and dynamic environment in which the ‘enemy’ may, as well as having the flexibility and responsiveness afforded by decentralisation, freedom, speed of action, delegation and initiative, have as good, if not better, capabilities than the modern fighting forces. Indeed, modern fighting forces, are hamstrung by many immovable factors – politics, enemy capabilities, inherent communicative advantages afforded to insurgents etc – but there is one area, command style, which is in the gift of modern fighting forces to change. The concept is well practised and widely applied, but can the style of mission command extend to communications? There is an argument that communication is too strategically potent or politically sensitive – what is said, what is perceived, what is seen on the battlefield may have strategic effect – it may even make a Minister/Senator or a government policy look bad. But today, with the concept of the ’strategic corporal’ ever present, in which the tactical military actions of very junior personnel have the capacity to bring about huge strategic impact, the same can be applied to any military action. Thus, why should the command and management of military communication (public affairs, info ops etc) be any different to other traditional military function? Risk aversion is a major factor in management style within militaries, living, eating and sleeping by doctrine. We’re talking here about cerebral risk, not practical and physical risk, which miltaries, by their nature, live with daily. But this cerebral risk allows free-thinking, dare we say ‘blue-skies’ thinking, and readiness to toy with and even accept new ideas. But this has practical implications for the management of communications, as indicated by Rid and Hecker in which they recommend that ‘a culture of error tolerance be fostered’ amongst governments and militaries involved in what they term War 2.0. Note, this is culture. Political sensitivity, organisational culture, lack of a professionalism (in the strict sense of the word) – these all contribute to the inertia, the inability of the hierarchy to’ let go’. But the signs are there. Without decentralisation, freedom of action, speed, delegation and initiative afforded to professional and highly trained operators, then the command style will continue to restrict progress in strategic communications, regardless of how good the ‘message’ is. Applying mission command to strategic communications is not straightforward, but acknowledging that a lack of it, or certainly its ethos, is a first step. There will be immovable obstacles (some there for good reason), but examining where elements of mission command style could be employed in communications may just break a logjam of our own making. It is, whilst considering managerial style, worthwhile looking across to the corporate world and the communication approaches deemed successful. To an extent RAND have already do so with regard to marketing approaches being applied to ‘shaping’ and earning popular support in Theatres of operation. In ‘Enlisting Madison Avenue’, all the major issues were highlighted: traditional kinetic focus, IO-Psyop overlap, lack of font line understanding, reactive information processes, measures of effectiveness and, of course, the lack of synchronization and coordination just about everywhere. In applying marketing ideas and practices – branding, sales, products – many communication issues can be ameliorated. But, despite its great value in improving communication effect, this is tactical tinkering and highly customer-focussed. Little time is given to more strategic effects of internal culture and management. The point of all this is apparent from the degree of discourse on how we influence others, looking at the externalities but the utter lack of debate over how we see, organise, manage and function ourselves, examining the internalities. Synergy and style of management is key to this internalising. Strategic communication is a holistic endeavour, not a magic bullet to merely deal with the complexities out there, and within that approach a long, hard look at ourselves is way overdue. Jeffrey B. Jones, “Strategic Communication: A Mandate for the United States,” Joint Force Quarterly 39 (Fourth Quarter 2005): 180. U.S. Department of State, “QDR Execution Roadmap for Strategic Communication,” September 2006, p. 3. and U.S. Joint Chiefs of Staff, Department of Defense Dictionary of Military and Associated Terms, Joint Publication 1-02, April 12, 2001 (as amended through March 4, 2008), p. 522. NATO’s ACO 95-2 Strategic Communications dated 15 Sept 2008. “In a moment of acute crisis, political and corporate leaders along with government officials are discovering they have less power to shape public perceptions than they assume they must surely have ex officio. “ Gowing. N. ‘Skyful of Lies’and Black Swans: The New Tyranny of Shifting Power in Crisis Oxford: Reuters Institute, 2009 , p. 9. Rid T. & Hecker, M. War2.0: Irregular Warfare in the Information Age Westport: Praeger Security International, 2009, p. 223. The International Symposium 2010 will be split into three complementary parts. The program will begin by looking in greater detail at culture and identity and how these terms are used and understood today. During this part of the program participants will have the opportunity to experience Berlins famous “Carnival of Cultures”. The second part of the program will build on these components by considering the role that culture plays in contemporary international relations and the process of globalization. During these three days the concepts of cultural diplomacy and soft power will also be explored in more detail. The final part of the program will apply these discussions to one of the key issues that will determine global politics over the coming years: Afghanistan and stability in Central Asia. This final part is being held in cooperation with the North Atlantic Treaty Organization (NATO), the German Marshal Fund (GMFUS), UNESCO, the European Commission, the US State Department and in partnership with leading international organizations. 2) Perceptions of the EU and the Challenge of Communicating with Young EU Citizens – Jenny Fairbrass, Co-convenor of project/UACES Treasurer and Stephen Fairbrass, Co-convenor of project/Senior Lecturer in Citizenship Education, with feedback from the Continuing Professional Development and Year 9/10 conferences held earlier in 2010. Please see http://www.uaces.org/events/conferences/cec/for details of the project (co-funded by the European Commission), the programme of research panels, and in order to register. Communicating European Citizenship - quite a task! 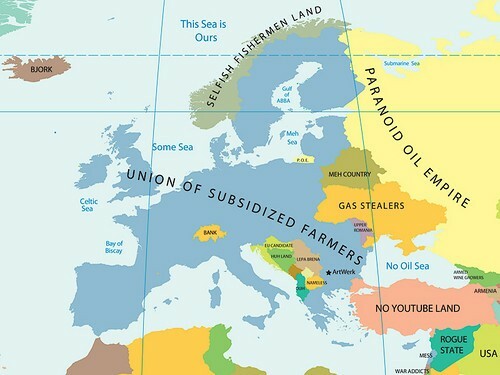 As the Lisbon Treaty comes into force, a little reflection into the perception of the European Union as a global power as seen almost five years ago (2005). A bit of nostalgia but may be an appropriate starting point to assessing where the EU is now, and where it might be going. That the European Union (EU), being the world’s largest economic entity, has influence in today’s world is generally without doubt, but to be a true global actor requires influence across a wide spectrum. In defining it as a global actor, one should consider seven, often interdependent, aspects to be fundamental in affording the EU any global influence. These are: economics; international or regional cooperation; promotion of human rights, democracy and good governance; prevention of violent conflict; fight against international crime and terrorism; and military capability. Each should be examined so as to assess how far the EU can currently be considered a global actor. However, regardless of the EU’s potential capacity in these areas, economic, political and military weight count for little on the world stage without the political will to engage that weight and the capacity for, and autonomy of, decision-making. With an annual GDP of almost 11 trillion euros, accounting for, on average, some 25% of world GDP, contained within a unique and successful customs union, in economic terms the EU can be seen as a superpower, with undoubted global influence. Via the customs union it has largely pooled the economic trading capacity of its member states, such that it is the world’s leading exporter of goods, services and Foreign Direct Investment (FDI) and the main export market for some 130 countries around the globe. 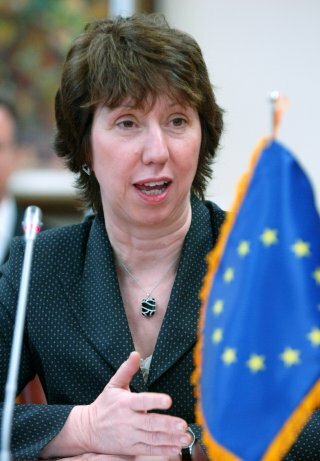 Through the European Community pillar, it possesses its most powerful foreign policy instruments: the capacity to enter into trade, economic cooperation and development agreements with other economic entities, national or regional, especially through the European Community’s General System of Preferences (GSP); and direct financial assistance to third countries. Its very success in regional economic integration is held up as an example across the world, allowing for some degree of influence globally. Its sheer trading power, economic capacity and prominence make it easy to regard as a global actor in economic terms. With its significant economic power, it has considerable influence with the global institutions (International Financial Institutions – IFIs) which influence global trade and finance regulations, such as the World Trade organization (WTO) and the International Monetary Fund (IMF). This is regardless of the lack of an EU seat, but due to the fact that cohesion and concensus is relatively strong over trade issues. Yet, there are brakes upon the already significant EU influence, but these are less a fault of the EU than the rigid and hierarchical structures of such bodies. Further, the EU is often seen as falling foul of WTO rules, being a respondent in disputes almost as often as a complainant, but this does not diminish the EU’s global influence and possibly proves its existence. Regardless, technically proficient in economic management and with competent control mechanisms, expressed exclusively through the Commission, the economic weight of the EU is by far its biggest ‘stick’ and ‘carrot’, available for exercise outside the strictly economic sphere. Closely aligned to economics, in regards to international, or more specific to the EU, regional cooperation, the EU is most exemplary, largely through its own identity and origins. Relying on legal frameworks and diplomacy, it rather uniquely fosters regional cooperation within its own neighborhood and further afield, to a degree that few can match. With cooperation agreements between the EU and Association of South-East Asian Nations (ASEAN), the Andean Community, African, Caribbean and Pacific countries (ACP), the Central American Community, the Gulf Cooperation Council (GCC) and Mercosur, there is now also a plethora of regular high level political meetings between representatives of the EU and other regional groups across the globe. In this, the EU has considerable international profile and a modicum of global influence. However, whilst the will is there, there is a growing ‘capabilities-expectations’ gap, in which EU institutions are finding it difficult to address all groupings, ‘to the detriment of Europe’s international profile’. Further, this ‘new regionalization’, although largely driven by the EU, is only incumbent upon the trend of globalization which is by no means irreversible. element of the EU’s international image, although rather more reactive than proactive. However, detailed analysis reveals limits. Having looked at these issues relatively late on, other European organizations stole a march on the EU and feature heavily in promoting common European standards. The European Convention on Human Rights (ECHR) is a creation of the Council of Europe, to which the individual EU member states have signed up. The Organization for Cooperation and Security in Europe (OSCE) also plays a significant part the promotion of democracy. Although the ideals of the ECHR have been incorporated into EU charters and conventions, they tend to be non-binding and have little legal basis, providing limited legitimacy when it comes to addressing the issue on a global stage. Similarly, with the EU being accused itself of a ‘democratic deficit’, legitimacy here is also sketchy and good governance is difficult to codify anyway. Although other organizations crowd into this field, the EU does possess powers unavailable to them through its economic and political weight. The use of conditionality, the provision of aid (via the EU’s European Initiative for Democracy and Human Rights (EIDHR)) and diplomatic instruments are the EU’s strong hand. However, conditionality can be difficult due to existing member state, especially ex-colonial, bilateral ties, EIDHR’s budget is paltry and security concerns over hasty democratization bringing civil strife mean that EU policy in this area is fairly inconsistent and decision-making is hampered. Yet, there is a collective will, based upon largely shared history, development of common values and a perception of insecurity in not doing so, within the EU member states to promote human rights, democracy and good governance. If the practicalities prove difficult there is a global platform which proves more amenable to the EU itself: the United Nations. Despite recent rifts over Iraq, there is increasing convergence of EU member state voting in the UN General Assembly, approaching some 85%, making it an effective machine within the UN. Despite it being accused of being mostly reactive, the EU has been seen to be a powerful UN actor when cohesive and committed, such as over the Kyoto Protocol and the International Criminal Court (ICC). The EU itself can be seen from its inception as a mechanism designed to prevent conflict in Europe and the concept is now enshrined within the European Security and Defence Policy (ESDP). Outside its own borders, the EU has become increasingly involved as a mediating element in conflicts within its neighborhood, such as the Former Republic of Yugoslavia and in FYROM, with varying success, and the Mediterranean. Increasingly, the EU features as a party, within a larger grouping, normally including the US, to conflict resolution and/or prevention, such as efforts in the Middle East. However, US interests cause EU influence to wane over distance, inherently displaying the EU’s limited global scope. Aside the Middle East and Central Asia, Africa does appear to be progressively showing on the EU’s radar, with growing commitment, although far short of direct intervention, being promised from the Council. The EU’s provisions for conflict prevention have improved considerably, with the Goteberg European Council of June 2001 sparking a drive towards coherent policy in this area. Yet, despite impressive improvements and significant will, the EU’s conflict prevention capacity is diplomatically weak. Despite the political influence afforded by the EU’s economic standing, conditionality and sanctions often fail in poverty stricken and violence ridden areas and limits have been apparent with more developed states, such as between India and Pakistan in May 2002. The Iraq crisis presented the epitome of a lack of vigourous and clear diplomatic signals from the EU; signals most necessary in conflict management. Yet, some see the EU’s ‘soft’ power, without the threat of military force, as its unique strength in conflict prevention. Although international terrorism is nothing new to the EU region, the full impact of international organized crime was only fully realized as the Cold War ended, allowing infiltration of crime syndicates from the former Soviet Bloc. 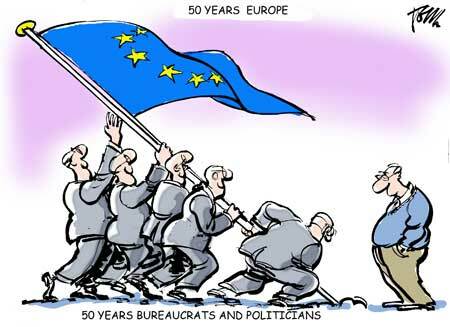 Thus, whilst national policies developed, the EU has had a late start in this field. Through the provisions of EUROPOL, the Schengen Agreement, European Judicial Cooperation Unit (EUROJUST) and other capabilities within the third pillar, Justice and Home affairs (JHA), the EU’s capacity in fighting international crime and terrorism, within its own borders, has been improved, especially since the events of 11 September, 2001. In November 2002 EUROPOL’s competences were expanded: it is now authorized to participate with member states in joint investigation teams and request member states to initiate investigations. In February 2002, EUROJUST was established to coordinate cooperation between prosecution authorities in EU member states. These are largely of an internal dimension but provide for some high levels of coordination, which have eased cooperation with other national governments and crime-fighting authorities. In December 2001, the EU’s impact upon global crime and terrorism issues expanded through the signing of cooperation agreement with the US, demonstrating a new emphasis on its external crime-fighting remit, which extend to judicial cooperation, immigration and asylum. The diplomatic instruments of dialogue and conditionality, such as use of GSP, are also major features of the EU’s commitment in tackling these issues. However, JHA is largely internal and effectively tackling international organized crime and terrorism requires the evolution of significant cross pillar coordination, which is proving slow. As a global player in this field, the EU has still further steps to make. The legacy of the Cold war, in which Western European states, EU or not, relied upon NATO, remains problematical for the EU in terms of developing its own globally capable military capabilities. The EU lacks deployable forces for expeditionary warfare, that is, forces for worldwide combat missions. 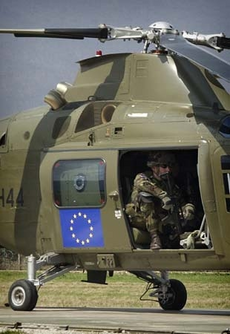 The member states of the European Union have approximately 1.7 million men and women under arms but are capable of deploying only approximately 10 percent of these forces for missions abroad, largely through a lack of strategic resources, such as airlift capacity. The’ headline goals’ of the Rapid Reaction Force (RRF) and development of the more realistic battlegroup concept show commitment to the idea of EU military capability but compared to a truly global military machine, the US, the effort is rather small scale and the will to follow this path is confused by the NATO aspect. Hence the view that the EU is still a military midget with grand aspirations. However, many of the armed forces of the EU member states, are relatively capable in terms of the missions required of a global actor, ideally suited to and with considerable experience in peacekeeping and policing missions. As such, EU missions to the Democratic Republic of Congo (Artemis) and Macedonia (Concordia) have demonstrated this limited but competent global capability. Whereas the RRF may find itself vying with the embryonic NATO Response Force (NRF), the Battlegroup concept, allowing the EU much more flexibility, realistic force generation options and simpler command and control issues, from political to tactical, may allow for a truly global military capacity, worthy of a global ‘soft’ power. Ironically, some see this ‘militarization’ of the EU as a direct threat to its agency as a ‘soft’ power and to its identity, if fragile, as a ‘civilian power’ based upon liberal humanitarian principles. Endorsing a policy of ‘effective multilateralism’, the EU’s ethos is well suited towards the ideals of global governance. As previously mentioned, the EU does have influence within various global institutions such as the WTO. Within the UN, where broad EU member state concensus exists, which, although overshadowed by high profile rifts, is common, considerable pressure can be brought to bare, especially when a powerful, if temporary, EU ‘caucus’ exists within the Security Council. In the fast-growing relationship between the EU and the UN, to the extent that the multilateral UN is shifting towards a ‘soft’ power approach to global issues, the EU is seen as a major contributor to the agenda. Now, as the combined contributions of the EU and its member states make the EU the largest contributor to UN programmes, the authority and recognition of the EU as a major global actor within the UN is widely recognized. The EU is not a traditional global actor in realist terms, which the US epitomises, but in a relatively short time span it has developed significantly its international reach and as a ‘soft’ civilian power it has considerable global weight, across a wide spectrum. Much of its weight rests upon its massive economic consequence in world terms, which is a mighty instrument capable of use outside the economic sphere. Such use is dependent upon the cohesion of perspective of its member states but with such a concrete economic basis, it is developing politically as a global player, even though it is hampered a hazy sense of identity and interests and by the weakness of its foreign policy institutions and decision-making processes. Despite this, although recent years have seen fragmentation, a general will to maintain cohesive foreign policy, supporting its global influence, is being maintained. Many have played down the EU’s global influence, yet its development as a global player does continue, although often at a glacial rate. Even so, the EU’s global influence across the spectrum is currently patchy, partly due to its own priorities, inherent capabilities, member state inconsistencies and external agency. Further, its autonomy in exerting influence remains indeterminate. In allowing the EU to exert some wide authority, some parts of the globe and some global issues are much more difficult than others. These areas and issues are defined by the global actor: the United States. Within which are included environmental issues. Coolsaet and Biscop, (2004), p. 7. ‘Making globalisation work for everyone: The European Union and world trade’, European Commission Information Brochure, December 2002. This is relative, as there remain several disagreements, not least over agricultural products. ‘Critics claim structures are rigid, outdated and overly hierarchical and that working practices lack transparency and openness to input from non-governmental players.Pascal Lamy, after Seattle, described the WTO as “medieval” while Franz Fischler, after Cancun, stated that there needed to be an overhaul of WTO structures.’ Cameron (2003), p. 13. Alasdair R. Young in ‘The EU and World Trade: Doha and Beyond’, Cowles & Dinan (2004), pp. 213-5. Linked together via the 2000 Cotonou Agreement, replacing the Lome agreement of 1975. Nugent (2003), pp.433-4. Regelsberger, cited in Smith (2003), p. 91. Smith (2003), p. 121 & 144. Johansson-Nogues, ‘The Fifteen and the Accession States in the United Nations General Assembly, CFSP Forum, Vol 2 Issue 1, January 2004, p. 10. Anand Menon in ‘Foreign and Security Policies of the EU’, Cowles & Dinan(2004), pp. 231-2. John D. Occhipinti in’Police and Judicial Co-operation’, Cowles & Dinan (2004), pp. 192-3.
 de Wijk, ‘European Military Reform for a Global Partnership’, The Washington Quarterly, Winter 2003-04, pp. 197–210. Peterson & Sjursen (1998), p. 179. Dedring, Reflections on the coordination of the EU member states in organs of the United Nations’, CFSP Forum, Vol 2 Issue 1, January 2004, p. 3. Laatikainen, ‘Assessing the EU as an Actor at the UN: Authority, Cohesion, Recognition and Autonomy’, CFSP Forum Vol 2 Issue 1, January 2004, p. 4. Peterson & Sjursen (1998), p. 184. Hill, ‘Renationalizing or Regrouping? EU Foreign Policy Since 11 September 2001’, Journal of Common Market Studies Volume 42, Number 1, March 2004, pp. 160-62. Cameron, Fraser. The European Union and Global Governance European Policy Paper No 7, November 2003. Available at http://www.epc.orgp. Coolsaet, Rik and Biscop, Sven. A European Security Concept for the 21st Century, Egmont Paper 1 Royal Institute for International Relations (IRRI-KIIB) Brussels, April 2004. Available at http://www.irri-kiib.bep. Cowles, Maria Green and Dinan, Desmond, Developments in the European Union 2 Basingstoke: Palgrave Macmillan, 2004. Dedring, Juergen. ‘Reflections on the Coordination of the EU Member States in Organs of the United Nations’, CFSP Forum, Vol 2 Issue 1, January 2004.
de Wijk, Rob. ‘European Military Reform for a Global Partnership’ The Washington Quarterly Winter 2003-04. Gilpin, Robert. Global Politcal Economy: Understanding the International Economic Order Princeton: Princeton University Press, 2001. Graham, Kennedy. Towards Effective Multilateralism – The EU and the UN: Partners in Crisis Management European Policy Paper No 13, November 2004. Available at ^http://www.epc.orgp. Hill, Christopher. ‘Renationalizing or Regrouping? EU Foreign Policy Since 11 September 2001’, Journal of Common Market Studies Volume 42, Number 1. March 2004. Johansson-Nogues, Elisabeth. ‘The Fifteen and the Accession States in the United Nations General Assembly, CFSP Forum, Vol 2 Issue 1 January 2004. Keens-Soper, Maurice. Europe in the World: The Persistence of Power Politics Basingstoke: Macmillan Press, 1999. Nugent, Neill. The Government and Politics of the European Union (Fifth Edition) Basingstoke: Palgrave Macmillan, 2003. Peterson, Jogn and Sjursen, Helene. A Common Foreign Policy for Europe: Competing Visions of the CFSP London: Routledge, 1998. Smith, Karen E. European Foreign Policy in a Changing World Cambridge: Polity Press, 2003. ‘Making globalisation work for everyone: The European Union and world trade’ European Commission Information Brochure, December 2002.